Microsoft on Tuesday announced the release of major updates for its Word, Excel, and Powerpoint apps for iOS. 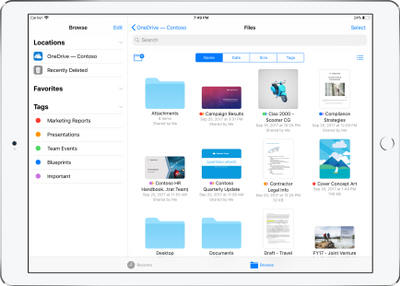 The new versions bring drag-and-drop on the iPad, real-time co-authoring, and more. The Redmond company says the new features will become available “in the coming days,” via updates to the app through the App Store. Microsoft Word, Microsoft Excel, and Microsoft PowerPoint are all available as free downloads in the App Store. A subscription is required to access all of the features of the apps.